Just a reminder that the Hartland Aikido Club does not practise on the first Monday of each Month. So on Monday June the 3rd, we are taking the night off! We'll be back as usual on Thursday June the 6th and on the following Monday. It's just a crumpled piece of folded cardboard. And yet it immediately brought back very vivid memories from 1987 (and it seems hard to believe that it was really that long ago!). In the summer of that year, some members of our Aikido Club from London decided to take a holiday in Italy along with our Sensei, David Currie. 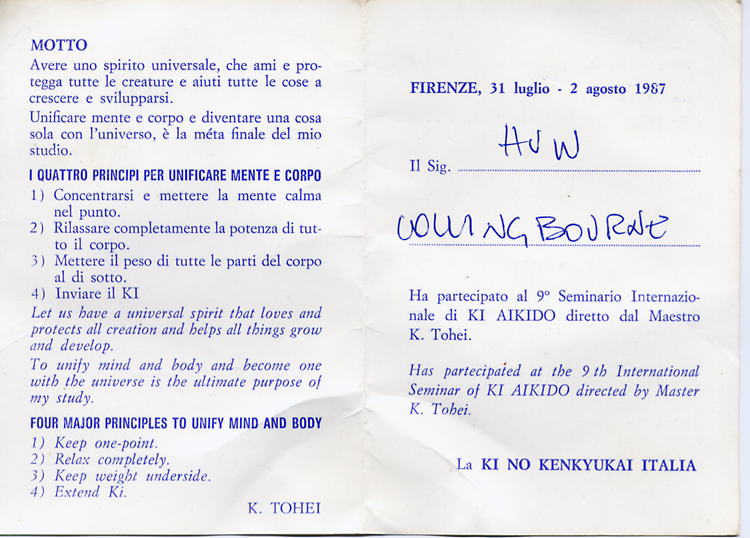 The reason for the visit was the Aikido seminar being given in Florence by no less than Koichi Tohei, 10th dan and formerly the chief instructor appointed by the founder (O Sensei). 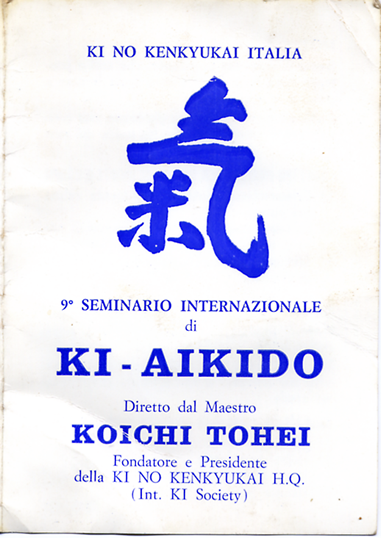 Tohei Sensei is now known as the founder of 'Ki Aikido'. Suffice to say, it was (quite literally) a once in a lifetime experience and I now realise how immensely privileged I was to have been a part of it. At any rate, I no longer regard this piece of crumpled cardboard as 'disposable'. From now on, I shall treasure it. 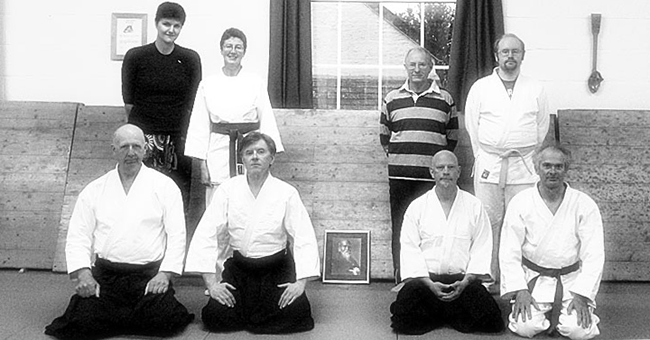 North Devon Aikido Weapons Course, May Bank Holiday Monday! Just a reminder that this Monday (6th of May), the Hartland Aikido Club in Bucks Cross will host a special aiki-weapons class taught by 4th dan, Sensei Richard Small. Everyone, of all skill levels (and all Aikido styles) is welcome. See my previous post for more information.